To be honest,most wine tasting events are a waste of time and a waste of money and boring. Let me tell you how I really feel lol. Most of these events the wines are furnished by big suppliers and big distributors and the never ending cycle of getting you loyal to a brand starts and your exploration of wines from around the world ends. Once a year, Italian Wine Importing company Alberello Imports and the “Selections of Nadia Galati” brings her winemakers from Italy to Florida for a 4 stop tour. Here I get to taste wines from a small fish in a big pond of Wine Importers but more importantly, the people pouring the wine are not some $12 an hour kid texting on their cell phones who don’t even know enough to chill down a white wine and can’t even tell you any information about what wine they are pouring. The people pouring the wine at this event are the Winemakers from Italy themselves. From Left To Right pictured above are: Alberto Passeri (La Gerla), Lara Pradal (Collalto) Paul Quaglini (Doesn’t belong in the picture), Gregory Perrucci (Academia Dei Racemi), Giovanna Tantini, (Giovanna Tantini Wines), Alessandro Boido (Ca D’Gal), Sara (daughter of Gregory Perrucci and hopefully next generation winemaker at Racemi), Nadia Galati (Alberello Imports and Selections of Nadia Galati), Antonio Giorgi (Father of Fabiano Giorgi from Giorgi Winery), Nicolas Caramelli (Fattoria La Ripa). I started off the tasting above like any Italian Wine Tasting should start off with at Table 1 with my friend Lara Pradal from Collalto Winery in Venezie and some great Aperetivos. I loved the 2010 Extra Dry Collalto Prosecco Superiore, so crisp, apples and a hint of stone fruits. The Collalto Spumante Rose made with Manzoni Moscato (A Hybrid Grape) I am very familiar with because I have it almost every Sunday with Brunch. Also made in the Extra Dry style (Less Dry than Brut) It tastes like Strawberries on a Biscuit with a fresh and refreshing squeeze of fresh lime. I also tasted the Collalto 2010 Pinot Grigio which is still one of my favorites. This vintage has that nice apple taste with a slight banana and tropical finish. I also highly recommend the Armani Perfume that Lara was wearing. Maybe that’s why I liked the Wines so much lol? I moved on to Giovanna Tantini pictured above. She is located in Bardolino which is known for their Corvina Based wines. She is a passionate classy woman and a very talented Winemaker. I loved her Bardolino including her Chiaretto (Rose) which is made with Corvina and Rondinella. Very silky wines with ripe tannin structure and the Rose had such perfect fruit balanced with great acidity. My favorite is probably her favorite as well since she named it after her son Ettore (Hector in English) To me, this is one of the lushest, rich wines I have ever tasted and the 2007 was my favorite vintage to date. I believe this wine put her on the Wine World Map. It is made with 80% Corvina, 10% Merlot, 10% Cabernet. What makes the wine so interesting is the fact that Giovanna cuts the vines and leaves the grapes to wither for about 15 days to get that little bit of extra sugar which in the end produces this amazing silky texture to this wine. There is nothing out there on the market like Ettore. Without writing a book I will tell you I moved on to taste the Great Primitivos (Red Zinfandel) Negramaros and the new Anarkos (A blend of Primitivo, Negramaro and Malvasia Nera) from my good friend Gregory Perrucci at Academia dei Racemi in Manduria located on the heel of the boot of Italy. If you ever go to Italy, make it your plan to get to that area that most people never go to and visit Racemi. Gregory is probably the world’s Authoritarian on the Primitivo Varietal and the grapes of Puglia and Manduria. What a great guy and great wines. Off to taste the wines of Nicolas Carmarelli and Fattoria La Ripa. La Ripa is a property that was owned in the 15th Century by Mona Lisa’s Father and it is Certified Organic Grapes. The Riserva Chianti Classio is my favorite with wonderful floral notes and very well rounded. Great Wines at Affordable Prices for Chianti. Alberto Passeri was next for me from La Gerla in Montalcino. For those of you who haven’t watched my last trip to Italy Video in October 2011 these wines are amazing Brunellos. The IGT BIRBA (Bad Boy in English) which is truly a Brunello except that it ages for one year in small oak barrels instead of 3 years in large Oak Casks is a great wine and a great value but Alberto was also pouring his 2004 Gli Angeli Riserva Brunello (Single Vineyard …and a Riserva spends one extra year in Large Oak). This wine is a 93 point Wine Spectator Wine and probably my favorite wine of the night. La Gerla’s style is so approachable compared to other Brunello producers. I then met for the first time, Massimo Nicolis from Nicolis Winery in the Valpolicella region (The Veneto). His 2004 Ambrosan Amarone rated 94 Points and made it to the Wine Spectator Top 100 Wines of 2011. He was pouring the 2005 version like it was Evian Water and his 2006 Amarone Classico, his Valpolicella and one of my favorite Ripasso’s (Baby Amarone) the 2008 Seccal…Amazing wine from Estate Grown Fruit!. I’m glad his plane arrived in time!. I finished off the tasting with something sweet from the king of Moscato in the town of Asti Alessandro Boido and Ca D’Gal. Moscato doesn’t get more elegant than Ca D’ Gal. Last but certainly not least, Antonio Giorgi the father of Fabiano Giorgi who was also featured in my Trip To Italy 2011 Video was pouring his Costarossa Sangue Di Guida, Moscarosa Rosato, and Nadia (Named after Nadia Galati) Malvasia. All 3 fun and food friendly sweet sparkling wines. Bring on the Salamis and Sharp Cheeses for those wines. Fabiano could not be here as he and his wife just had a baby. Congrats to the new member of the Giorgi Family. I wish that new member was me. Can’t they adopt a 52 year old Wine Guy? Sadly Sisto Tessari from La Cappuccina Winery in Soave couldn’t make the trip as his wife Elena is ill and I wish her a speedy recovery. 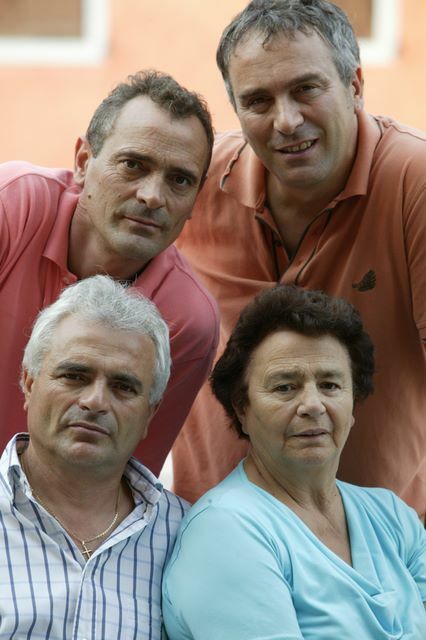 The Tessari Family wines were poured that evening and they do such a great job with Organic Garganega. He as well was featured in my Italy Trip Video. Now if you made it to the end of this Blog Entry, ask yourself: Does this sound like any other wine tasting you have been to at any venue? I think not! In fact, anyone who took my advice and juggled their schedules around as I did to attend this tasting based on my recommendation said to me “Larry, you did not oversell this event. You can feel the Passion from these Winemakers. 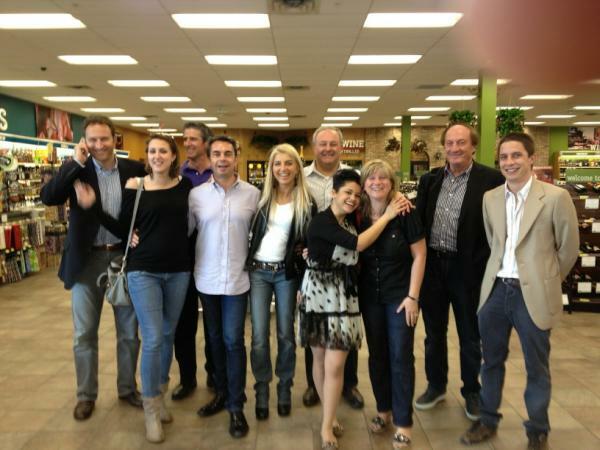 This really was the best wine tasting event of the year” In my opinion, this is what all wine tasting should be like. Sadly, retailers play politics with big producers who supply their big brand name wines and most wines featured are wines you will find everywhere including many in Supermarkets. For those events, I’d rather stay home and have a wine tasting with friends out of my wine cellar. 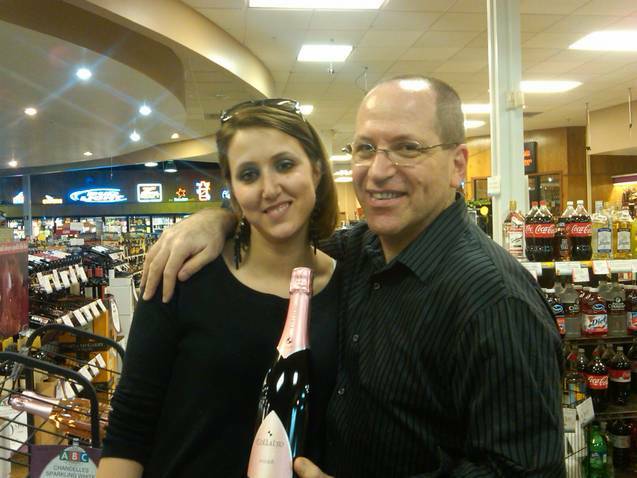 Kudos to Alberello Imports and Nadia Galati in pullling off another great event. If you don’t live in Florida, insist your local retailer put together a wine tasting event featuring more artisan wines from one importer’s small portfolio as it is the only way you will expand your palate and enhance your enjoyment of Wine! There seems to be a common theme to these pictures. First one was me and Alberto Passeri at La Gerla in Italy and the Second was with me in Florida standing with the Winemakers but next to Gregory Perrucci from Racemi. Gregory referred to me as “Larry The Wine GAY”? I know things have been rough for me since my Divorce. Do you think? 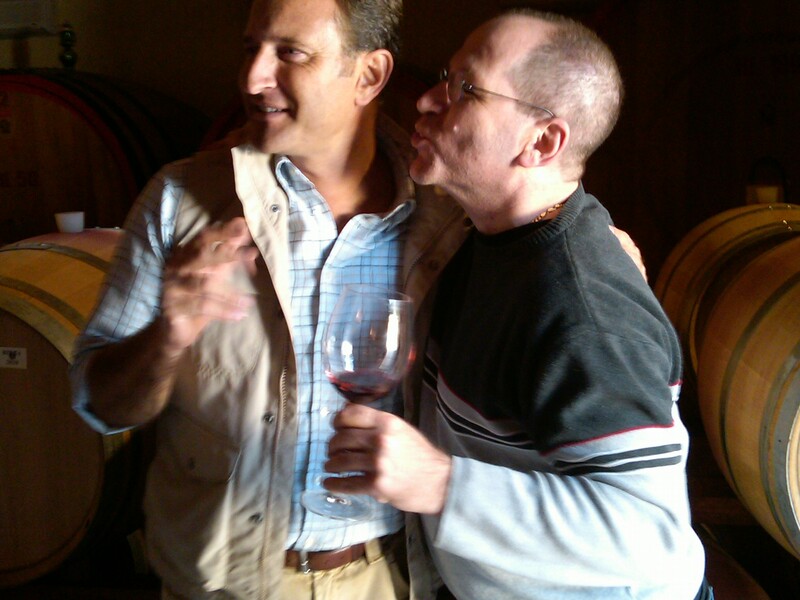 Nah, I just love these 2 winemakers and so what if I am in touch with my Feminine Side? I would kiss you more and more, my friend, for having written these passionate and dedicated words in favor of the handcrafted italian viticulture! 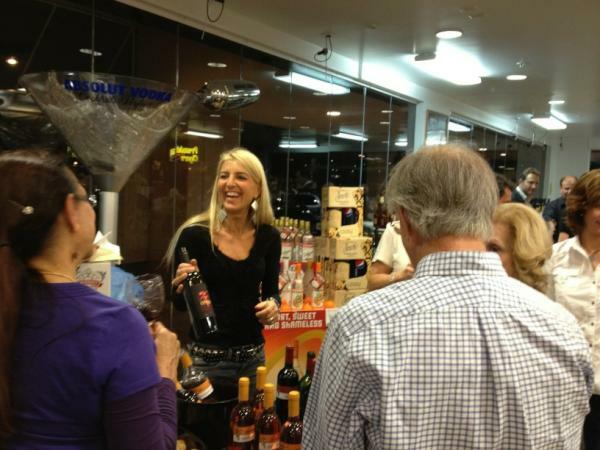 Thanks for your enthusiasm, for loving original wines, for enhancing our culture in a great state like Florida!